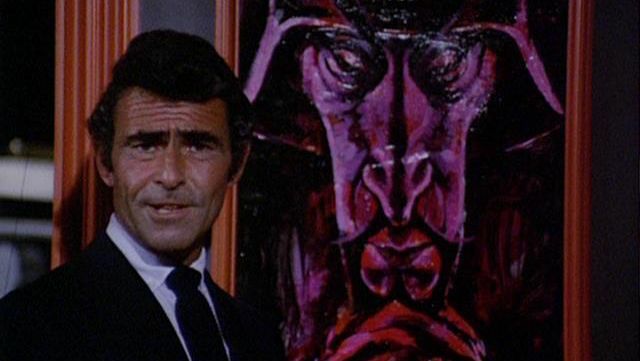 Rod Serling is making a big comeback forty years after his passing as another of his celebrated series, Night Gallery, is officially getting a revival from SYFY with Jeff Davis (Teen Wolf) behind the new iteration. Deadline first reported the news. The original series, which ran from 1970-73 on NBC with Serling once again in the hosting position, was the screenwriter’s follow up to his acclaimed anthology series The Twilight Zone, however Gallery chose to focus on more science-fiction themed stories versus the more horror-centric tales of the previous series. Serling would guide viewers around the titular gallery introducing pieces that would then lead into the macabre stories. The series is also well-known for featuring the directorial debut of then-21-year-old Steven Spielberg in the pilot film segment “Eyes” featuring Joan Crawford in the lead role and despite only having three seasons has been in syndication for years across various networks. Davis, who is also well-known for creating the CBS mega hit series Criminal Minds, will be giving Night Gallery a modern re-imagining, telling darkly ironic and twisted tales regarding the digital age, diving into every facet possible for modern viewers, including the dangers of social media. He will executive produce the series with project co-creator David Janollari (Midnight, Texas), who will produce through his banner David Janollari Entertainment. The revival will also be produced by Universal Television and Universal Cable Productions. The Night Gallery revival comes just as CBS All Access has been in active development on a revival of The Twilight Zone since last November from Jordan Peele (Get Out), who will also host the series and Marco Ramirez, having started to put together a cast for the project that includes Searching‘s John Cho and The Big Sick‘s Kumail Nanjiani and whose principal photography began in October and is set to last until March 2019.